Yesterday, while discussing with Gene what dinners we’ll have this week, I browsed my Pinterest Food board and found the this recipe. I want to try new recipes to 1. find new ways of staying healthy, 2. not get tired of the foods I enjoy eating, and 3. expand my palate. I also need recipes for breakfast foods that are good frozen and reheated and are transportable. I generally have cereal for breakfast but an hour or two later I’m hungry again, so finding food that I can take with me to work for later is much needed. 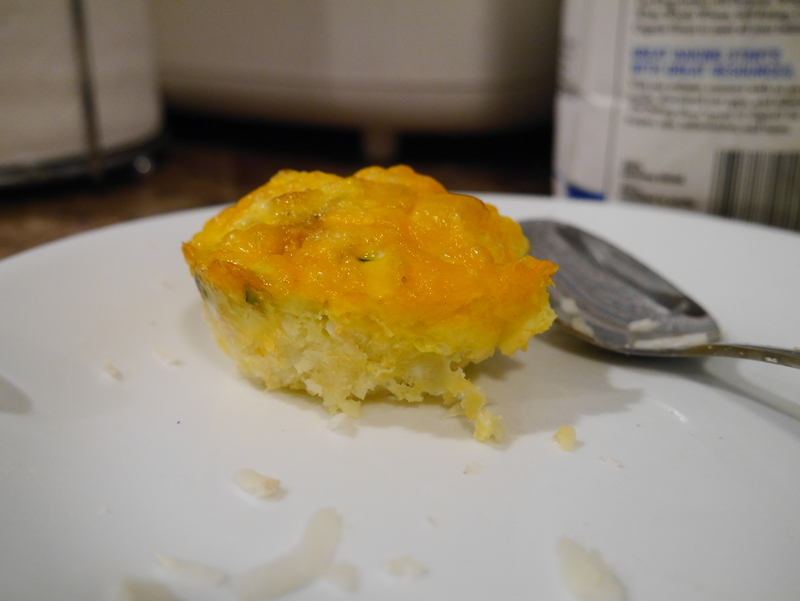 I decided that I’d like to finally try this breakfast muffin recipe so I got the ingredients and got started. Let me mention first, though, that I didn’t actually follow the recipe to the tee. For some reason, I have problems following any recipe exactly and I generally change at least one thing. This time, instead of using tater tots, I used frozen hashbrowns because I already had them in my freezer. My toppings were also slightly different, although I doubt that would make a huge difference. I had: potato, pepper, zuchinni squash, onion, and vegetarian sausage. From the two muffins I have had so far, I may or may not make them again. I kind of forgot that I don’t really like eggs all that much. Next time I will put way more toppings on though. I wasn’t exactly sure how many should go in each muffin tin but I think I could have fit a bit more. Because I used vegetables and vegetarian sausage, there isn’t a strong flavor. I feel like the hashbrowns could have been cooked a bit longer before I put the toppings on too. So the point is, some changes will be made next time but there probably will be a next time. I haven’t tried them reheated from the freezer yet, but I’m guessing they’ll be decent. 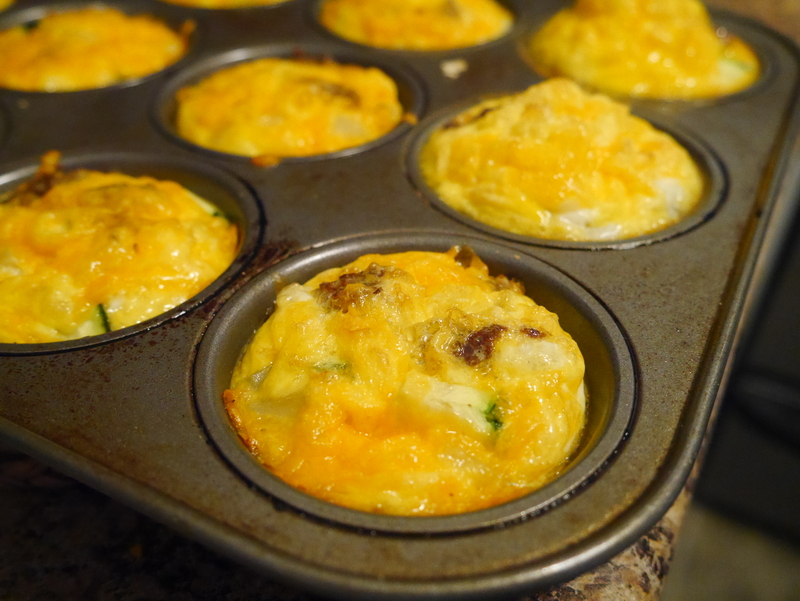 The recipe was easy to follow and simple to make but man do I hate cleaning muffin tins. Something sticks in every single tin, every time I use it. How is that possible?! I sprayed Pam liberally, although it wasn’t the Pam with flour so maybe that was my mistake. Thankfully, Gene was the awesome boyfriend he is and attempted to clean it. After three attempts he gave up and put it in the dishwasher. Nonetheless, he’s still awesome and here’s to hoping this is a new morning snack for me. Nice to know that there are good Pinterest recipes out there.